With the investment money Safello will, as a first step to globalisation, focus on growth in the European market helping consumers to safely get into Bitcoin. A study showed that 45% of the exchanges since 2009 are no longer around. 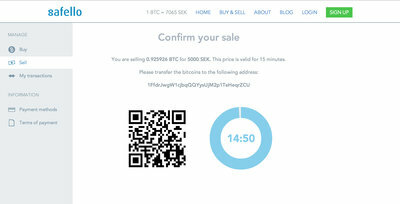 Safello wants to be the long lasting platform where you can safely buy, sell, store and use bitcoins. When it comes to your money, there is no room for compromises. Safello is registered with the Financial Supervisory Authority in Sweden, a country that together with Germany is one of the few countries that has been clear about bitcoin taxation. 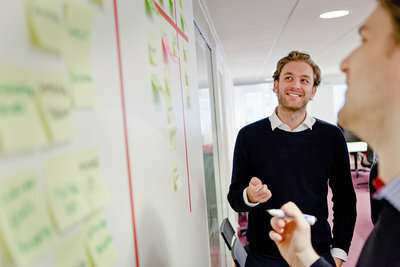 Sweden is known to operate on the forefront of technology adoption with companies like Skype, Spotify and Klarna. It has also been one of the most stable countries in the world in time of financial disarray. This combination of tech savviness and financial stability makes it ideal for a Bitcoin company like Safello to blossom. Frank Schuil, co-founder and CEO of Safello adds: "We hope our customers will enjoy the improved user interface as we prepare to roll out new services and features in the months to come. Our team is proud to have our customers entrust us with their money and we aim to grow into the de facto choice for Bitcoin enthusiasts around the world." Erik Voorhees, prominent Bitcoin advocate about leading the investment round: "Safello is a premier example of the new generation of Bitcoin companies - a professional team with a focused, well-executed service. Its growth has been amazing thus far." Roger Ver, one of the earliest investors in the Bitcoin ecosystem about leading the investment round: “Bitcoin is a world wide technology, and Safello has compiled a world class team. I suspect they will quickly become a leading company in the world of Bitcoin." To strengthen its operations, Safello appointed Jacob Jacobsson as Chairman of the Board of Directors and Ulrika Axelsson as Board member. Jacob Jacobsson, Silicon Valley veteran and professional Board member about his appointment: "The vision, strong work ethics of the team, as well as the creative environment in Sweden makes Safello a very exciting company to work with. In addition, the fact that the legal framework and taxation status for bitcoins are well defined in Sweden are reassuring. I am honored to join, not only as chairman, but also as an investor." Ulrika Axelsson, team lead financial services at management consultancy company Centigo adds: "It takes courage to challenge the existing players in such a controversial and turbulent market place as crypto currencies. I’m confident that Safello’s team has the ability to build a compliant solution that will lead the way into the future world of payments". 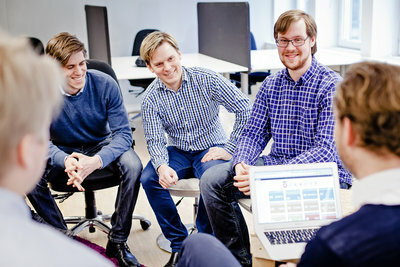 Core competences have been added to the Safello team to facilitate its expansion plans. Dedicated support, additional development power, a head of design, a head of business development and a new Compliance Officer set the stage for Safello's ambition. Sara Lindqvist, a former associate at Baker & McKenzie who switched jobs to join Safello as Head of Legal & Compliance Officer, about the challenges for Bitcoin companies: "Applicable laws and regulations are currently quite unexplored. In view thereof, and since the interest in crypto currencies is constantly growing, authorities world wide are now under pressure to find ways to regulate the market for businesses conducting the use of these currencies. However, it is important that these regulations will be focusing on making the system more reliable - without affecting the development of the invention itself. Our goal is to help people understand the advantages of crypto currencies and we hope that Safello can be a leading example of how to conduct a crypto currency business in a compliant, safe way. We are clearly facing an interesting year as to the legal development of the crypto currency market and I am looking forward to be a part of it." 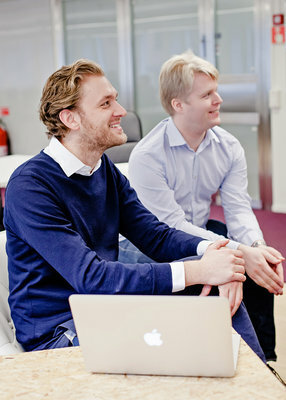 Ludvig Oberg, who provided the company with a seed investment in July 2013, now reinvesting, is joining the company as VP of Business Development: "Safello has a unique edge against the global competition being based out of Sweden. The country has a reputation for quality of service and a strong financial and legal foundation. In the previous year Safello proved that being the compliant and safe actor in the market is the way to go. I see a great future for Safello and I am incredibly happy to be on the team shaping that future. As VP of Business Development I aim to help Safello establish long term partnerships to build a solid foundation to reach for the global market." The recently launched deal syndication platform Dealcircle.co facilitated the legal framework for the angel round assisted by law firm Bird & Bird. Martin von Haller, partner at the firm operating from the Copenhagen office in Denmark comments on the investment round that was partly financed with bitcoins: "We are very excited to have played our part in promoting two innovative and disruptive Nordic tech start-ups. 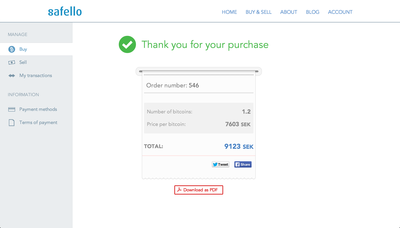 Helping Safello, the Scandinavian bitcoin retailer and a serious part of the crypto currency community, to raise funds. 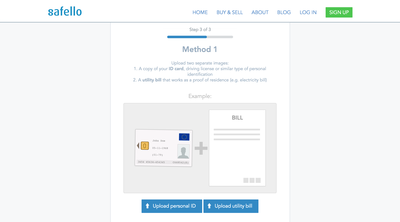 Working with DealCircle to get proof of concept and sale of their idea to organise and execute start-up investments with speed, at a fraction of the cost. Bird & Bird, Europe's leading technology law firm, is committed to providing innovative start-ups with local industry insights, efficient internationally integrated legal advice, combined with a passion for technology." Bertrand Bisson, founder of Dealcircle.co adds: "DealCircle is in itself a disruptive platform changing the way angels do investments, so for us it was a very natural fit to support the Safello funding round. The deal was simple to execute for us although it was the first of its kind in Scandinavia." 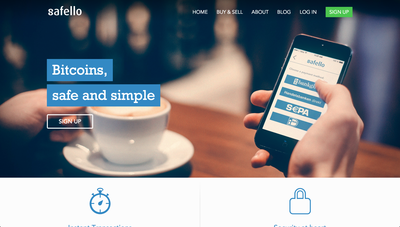 Safello AB is a Sweden, Stockholm based company founded in July 2013. 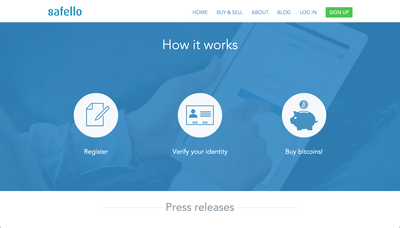 The company is focused on supporting the crypto currency market with a safe way to buy, sell, store and use bitcoins. 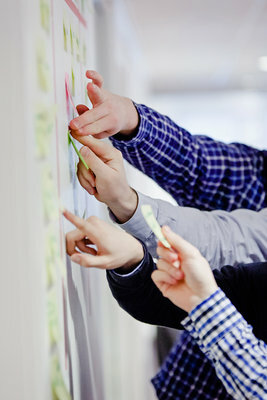 Its team consist of security specialists, serial entrepreneurs and bitcoin experts. Its website went live on August 22nd 2013 and since then the company has rapidly grown into the Swedish market leader.